Terry barkley is a talented musician who'd rather skate at the local hot spot than get into Julliard! Wow, there's plot to root for. Her father, played by Roger Perry of "Facts of Life" fame, is not thrilled. Doesn't matter, Terry's heart is in her skates. But watch out, there are bad guys, rotten land-developers who want the roller rink for themselves! And they'll do anything to get it! Can Terry and Bobby save the day and win the big roller contest? Dare we hope? OK, you won't be on pins and needles, the plot in this flick is telegraphed so a two year old could get it. "Roller Boogie" is an absolute time capsule. It features Linda Blair at her ultimate cutest and a full bevy of roller skating teens. 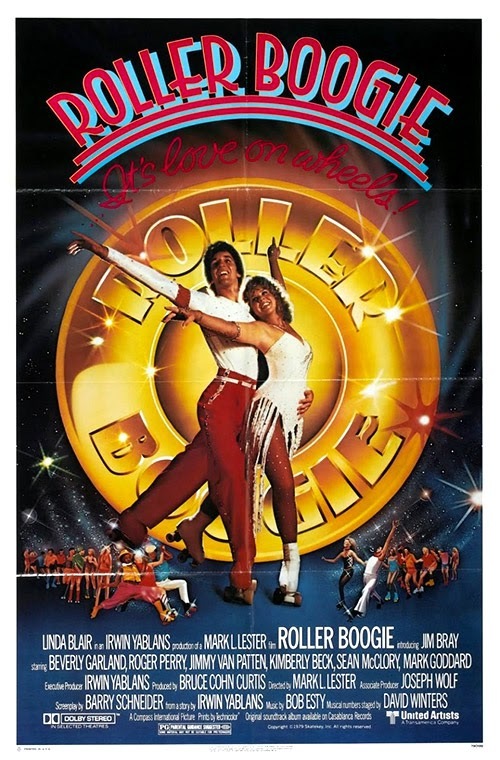 Undoubtedly this is the best roller boogie movie ever made! Which isn't saying much, but still its enjoyable fluff from start to finish, and considering its run time of over 100mn, it never gets dull. 1 Response to "Roller Boogie (1979) Mark L. Lester"